Among the millions who scurry about feverishly enriching their material lives, there are those rare and unselfish people who speak out for the greater good. And they’re remembered long after their voices are stilled. 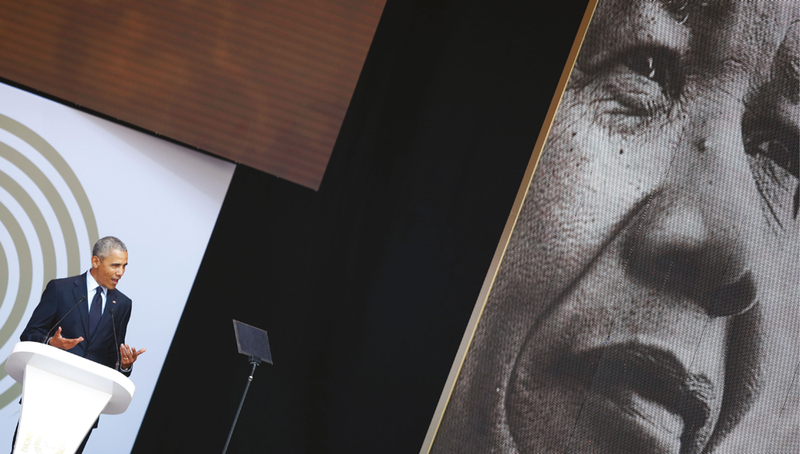 Mandela spent 67 years of his life struggling valiantly to create a better world. In his later years, he engaged with the people of the planet as an international peacemaker. During his presidency, Mandela tirelessly attempted to resolve the longstanding conflicts in Africa and introduce peace through democracy. His support for the International Criminal Court (ICC) resulted in South Africa becoming one of its first 10 signatories on 17 July 1998. In November 2009, the UN General Assembly declared 18 July as Nelson Mandela International Day in honour of the iconic leader’s contribution to furthering peace and freedom in the world. It’s a matter of regret that countries around the world are unable to follow his example of universal love, compassion, compromise and forgiveness, on issues of peace and reconciliation. Nations that are emerging from years of fear and bloodshed, and from the shackles of terrorism, could benefit greatly by emulating Mandela’s values and perspectives.